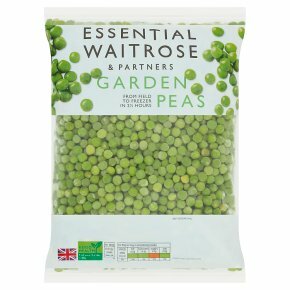 Specially selected for tenderness and sweetness, field to freezer within 2 1/2 hours, From our selected grower in Lincolnshire. From field to freezer within 2½ hours. Time 5-6 mins. To cook 1/3 of bag. Bring water to the boil in a pan suitable for steaming. Add 1/3 of the pack to the steamer and place over the boiling water. …Cover with a lid and reduce the heat slightly. …Steam until tender. …Check food is piping hot. Do not reheat once cooled. All cooking appliances vary. This is a guide only. Time : 3-4 mins. For best results, place petits pois in a saucepan of boiling water. Bring back to the boil and simmer. Drain before serving. Check food is piping hot. Do not reheat once cooled. All cooking appliances vary. This is a guide only.